Big news coming from a newer organization on NIU’s campus. On Nov. 3, the Black Counselors Association was recognized as a state chapter of the Illinois Counseling Association at its 67th Annual Conference. 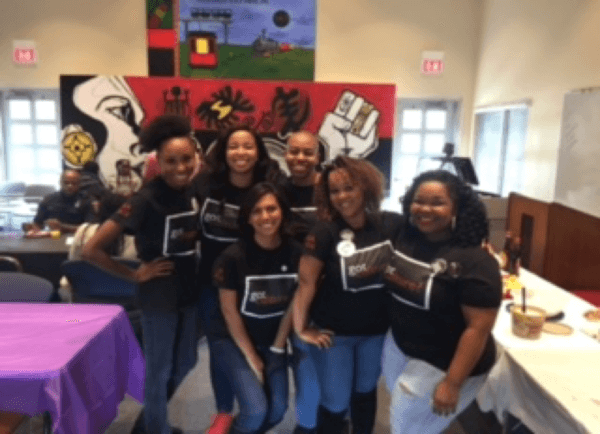 As part of the Illinois Counseling Association’s mission to “promote respect for human dignity and diversity,” the Black Counselors Association was welcomed with open arms to now serve as an Illinois chapter. The Black Counselors Association was founded in 2014, here at NIU by Department of Counseling, Adult and Higher Education, Counseling students Antoinette M. Schrader, Reco Bates, Ronnett Lockett, Chelsie Ketton and Tiffani Scott. These five students recognized the need for representation by people of color in mental health fields and had a desire to create a safe space for counselors enrolled in graduate courses. With the support of faculty member Dr. Lee Covington Rush, the Black Counselors Association started the mission of providing support, education and a forum for graduate students in the field of counseling. It is the continued mission of the Black Counselors Association to promote social justice, multicultural competency and professional networks for black students, black counseling professionals, as well as other students and professionals of color. Since its inception, the organization has hosted various events to advance the original mission statement created by the founders including, the Flint Michigan Water Fund, Creating the Space (for those apart of NIU’s faculty and community to discuss recent police brutality in the African-American community), Dr. Lee Covington Rush Scholarship, networking opportunities, Black History Month programming, a presentation on issues affecting the black community at Illinois Counseling Association Conference, local community service donations and workshops for professional development. The current executive board of the Black Counselors Association includes counseling graduate students, Jalaine Hart, Jasmine Young, Judy Flores-Sender, Brittany Hall, doctoral student Kristina Wilkerson and Faculty Advisor Kimberly Hart. For more information or to become involved in the Black Counselors Association please contact secretary Brittany Hall at blackcounselors.niu@gmail.com and like NIU Black Counselors Association on Facebook.